Everyone has their go to or their favorite recipe website. This could be based on many different factors or could simply be the first site that pops up when you google search. 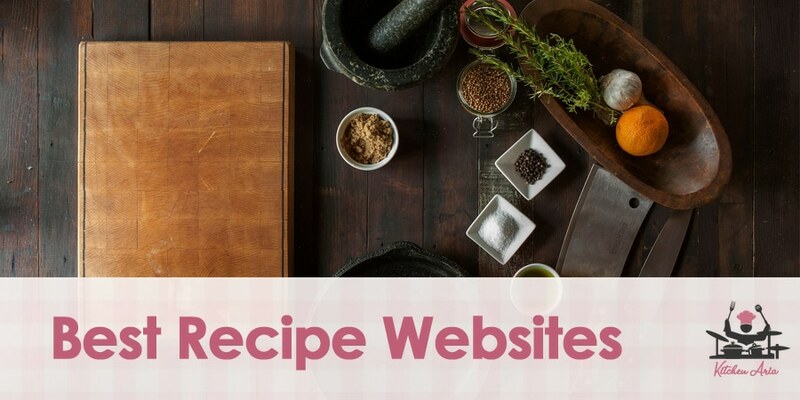 What constitutes a great recipe website is an easy access, great information with little to no fluff and lots of visual aids like pictures and videos. Videos are a great way to draw people into their site, even if the recipe is basic or not good at all. But a site with lots of pictures of the cooking process and videos that show you how to do everything seamlessly are going to be visited much more often. Here is a list of the best recipe websites on the internet. The number one recipe website literally blows all the other away. Allrecipes.com has an astonishing 25 million unique visitors each month! They are also in competition to be one of the most visited sites on the internet coming in the top 100. The website is very easy to use and you will be able to find literally any recipe you need and then some. The site allows you to search for recipes, videos and how-to do’s on just about anything food related. It also allows you to create a profile and share your recipes with the rest of the world. Others can rate the recipes and write reviews to help seed through the duds. 9 times out of ten, when you search for a recipe, allrecipes.com will likely be in the first slot on google search. The food network is an obvious player in the game because of the amount of people they are able to reach. They have multiple ways to lure in visitors such as their network or television, magazines, radio, and website. They have a whopping 23 million visitors to their site every month. The website is loaded with so much more than just recipes and videos. You are also able to watch clips and episodes from past shows on their network. A great choice mainly because of their shinning reputation. The food network has been around quite a while and has been a trusted source of quality information. Food.com, otherwise known as Genius Kitchen, has substantially less visitors to their site but it still a great way to find that special recipe. They have cataloged over 500,000 individual recipes on their website which makes trying to find that one recipe not very hard. They also have an option to create a profile so you can see your search history and save recipes from the past or for the future. Yummly is a great recipe website and very often are their videos shown on social media platforms like Facebook and Snapchat. The videos are unique, easy to follow and precise. This style of recipe making for video has been replicated by many other websites but not quite like Yummly can. Their website also contains over 2 million recipes. The database is very easy to use and is equipped with many different filter options and dietary needs. When you join for a free account you are able to save recipes, make shopping lists, and share with others your recipes. You are also able to create a meal plan based on your diet restrictions and allergies. The site is clean, fun and very easy to use. This site is worth mentioning not because of the number of visitors it has but because of the quality of the content. The site has been around for 20 years and has only accumulated 50,000 recipes within the database. While this number is very low compared to others, the recipes are all handpicked and trusted. They have been filtered and tested to make sure they are the best of the best. This site only is in the business of a particularly special recipe. Of course, Betty Crocker would be on the list. They have been creating recipes and cookbooks for over 100 years. They have also been on television, radio, books, newspapers, food products, magazines, and their website. They have been creating recipes longer than any other source in America today. So, there is no surprise why it is one of the most trusted recipes websites with almost 12 million visitors every month. The database of recipes and cookbooks seems to be endless, each with originality and fame to cover it. Betty Crocker is a force to be dealt with in the recipe business and should not be taken lightly. The main focus of Eating Well’s website is exactly what it sounds like. They like to create content that is only healthy and good for you. They also focus a lot on special diets and the recipes you can eat to fulfill that meal plan. They also have preset meal plans that have been created by registered dieticians that specifically cater to many different diets like ketogenic, paleo, whole 30, gluten free, low carb and no sugar. There are hints and tips to make the diet life easier with special kitchen hacks and lots of videos to teach you what to do. They also have a magazine that has been printing for almost 25 years now. You have probably heard of this website before because of their main focus which is video recipes. The videos are cleverly created with super decadent ingredients that are more than lustful. This draws in an incredible number of viewers. They have an extremely large following on Facebook where their videos are shared by people almost religiously. With how much you see on social media about tasty videos you would think they were advertising when they are not. The users and visitors share their videos to their own personal feed where their friends see it and then they share it. With the standout quality and simplicity of the recipes being created, there is no wonder why the videos spread like wildfire. Delish is also very similar to tasty, their videos may not be as popular but that’s because that is not what they are only about. Tasty almost exclusively makes recipe videos while Delish makes videos and content for the site. The content contains trusted and tested creative recipes, hints, tips and plans to help you with whatever you may need. The site is very clean and easy to use with thousands of articles on so many different topics all revolving around food. The recipes database is also very extensive very several different filter options to sort through. This site is great and you may find yourself lost in it for a few hours.